Dairyxox: Apple devices seem to use heaps of data randomly. I think the default setting on iOS7 is to update all apps automatically? Turn off all icloud stuff (except maybe find your device) and see if it helps. This probably isnt what you want to hear, but I had a problem like this & created a thread about it, and after a lot of investigation I believe (not 100% sure) this was the culprit. Ya it could be. I only have 1 iOS device now which is an iPad but I will try these things too. Again as I said earlier nothing has changed since the last 2 months but its always worth trying everything. Dairyxox: [snip]Apple devices seem to use heaps of data randomly. It's not all that random. The most obvious one that uploads and downloads is Photostream, as it tries to synchronise content across multiple devices. Other iCloud services can do the same with other content as well. On top of that, there will often be other (platform independent) stuff like automatic software updates of both the OS and applications, and iTunes purchases etc. Any one of these can have a problem, and get stuck attempting to download [upload] a given file. Opening the Activity Monitor on the Macbook Air will allow you to monitor network usage, both up and download - later versions allow you to sort network usage by process or application, so it's pretty easy to see if it's something that's happening on your Macbook. coffeebaron: Does Skype still like going super node these days? dont think so.. my skype hasnt gone supernode on me of recent anyway..
Last month I got an 80% Cap email after 6 days of the month (VDSL). Looked at my usage (150GB plan) and 110GB was Upload! Checked Task Manager (Win 8) and a constant 2 Mbps was Uploading from the PC any time it was on. After a bit of digging found the service and googled it. It was iCloud! It wasn't even syncing anything. A bit more Googling (Apple sites were a complete waste of time), but a couple of sites said it was a bug related to Find my iPhone! Tells you to turn it off on the phone and how to deactivate the service in Windows. Not saying this is your problem, but is another example of how much you can burn through with the higher upload and having buggy software or services on you aren't aware of. 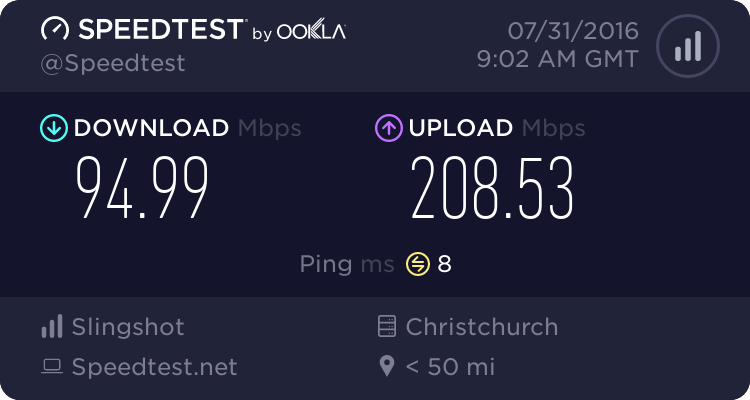 pjamieson: Last month I got an 80% Cap email after 6 days of the month (VDSL). Looked at my usage (150GB plan) and 110GB was Upload! Thanks for that. I will check my iPad for that one too. did you change your wifi password? yes changed that a couple of days ago and only have 1 device connected to the modem to monitor the usage. A guy from Complex technical support has decided to swap the modem to a new one and a different brand of modem which he reckons is a better one.